In Svalbard, the arctic archipelago administrated by Norway, anyone leaving Longyearbyen is required to carry a rifle for their own safey. For grizzly bears, Wikivoyage recommends that Bear repellent spray (a very strong pepper spray/mace) is considerably safer than carrying a rifle. This answers says the same thing. I'm no hunter and I would hate killing any large mammal (or even small non-mammals). Is the statement about the safety of sprays vs. rifles accurate for all kind of bears? Don't bears run so fast that by the time they're within the range of sprays, they're already so close that it's more or less too late to defend oneself? US Fisheries and Wildlife (with black and grizzly bears) suggests that bear spray is statistically more effective. 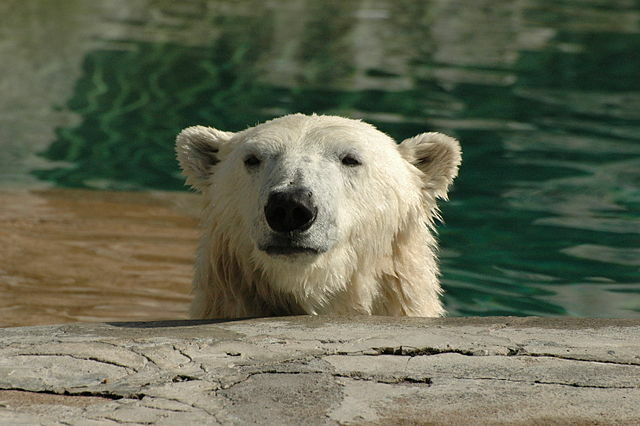 A 2008 study by Smith et al included two polar bear encounters where the bears were successfully deterred with bear spray. Pepper spray may work on polar bears but has not been thoroughly tested. Be aware that pepper spray may not work when it is cold or wet. Instead of carrying bear spray, noise flares, and/or a rifle, how about carrying bear spray (primary) and a large caliber pistol (backup at close range)? We carry both, a handgun (.45) and bear spray in black bear/grizzly country. A warning shot recently stopped a black bear from (bluff) charging LONG before it was within range of the bear spray. I deployed the bear spray as well, but it was carried sideways 10 feet by the wind and the bear would have to been much closer for it to be effective. Had it charged again, or for real (not bluffing), bear spray should be more effective, as it builds a wall in front of you, and is much easier to deploy and aim than a gun. Luckily, I never had to test it's effectiveness at close range. A difference on the side of the rifle would be that polar bears live in more open environments, so they're easier to see coming. A difference on the pepper spray side could be that these open plains can be windy, limiting the range and precision of the spray. So I figure the different approach might have more to do with environmental factors than bear specific ones. Shooting a gun may require practice to improve your accuracy. You don't require any training for bear spray. But the problem is that it may not work on very low temperature and you cannot use it in high winds because you may risk to hurt yourself. Another option may be to use a stun gun of which electric discharge MAY scare the bear away even from further distance. I wasn't in an environment where polar bears are present, but I know that these methods might work for brown bears. Not the answer you're looking for? Browse other questions tagged safety bears guns bear-spray polar-bears or ask your own question. Can I shoot a bear in self-defense? How effective are pen launcher bear bangers compared to bearspray? How effective is wasp spray on bears? How do you get bear spray off skin and or gear?